HOLT CAT Texarkana Caterpillar dealer for Cat equipment sales, service, parts & rentals for heavy equipment machinery, construction & generators. HOLT CAT is Nash’s authorized Caterpillar dealer for Cat equipment sales, service, parts and rentals. Established in 1933, HOLT CAT sells, services and rents heavy equipment, engines and generators for construction, earthmoving, mining, industrial, petroleum and agriculture. HOLT CAT Texarkana sells and services a full line of agricultural machinery, accessories and parts. HOLT CAT Texarkana TX sells generators, earthmoving equipment, mining and industrial, petroleum and agricultural machinery plus parts. Trucks, combines and other ag equipment dealer with full service, repair and parts. 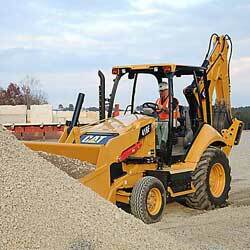 HOLT CAT stocks equipment, machinery, diesel engines at it’s Nash TX construction equipment store. Visit for diesel service, repair and parts, skid steer loaders slope boards, backhoe telehandlers, bulldozer, water tankers track loaders, graders and feller bunchers. CAT lube service available and in addition, maintenance, Caterpillar radiator service, CAT machine powertrain engine rebuilds. Buy Caterpillar machines, loaders,, excavators Caterpillar, compact track, multi-terrain loaders, compactors, harvesters, excavators, loaders, material handlers, motor graders, paving equipment, road reclaimers, skid steer loaders, telehandlers, track loaders, tractors, underground mining equipment, water tankers and water trucks, plus machine rental, heavy machine rental and generator rental. Then go to Nash TX construction equipment, earthmoving mining industrial petroleum agricultural machinery parts, truck combine ag equipment dealer, handlers loaders excavators, backhoes and telehandlers, bulldozer, graders, Caterpillar service for CAT machines and powertrain engine rebuilds.